Hiding in the shadow of the Super Pit between the tennis courts and the Physical Education Building is a lonely basketball complex with a long history dating back more than 60 years. Located directly across from the Super Pit on Highland Street, the stadium was officially named the Ken Bahnsen Gym in 2005, after a former assistant football coach. Although games have moved to the 10,000-seat stadium across the street, Mean Green fans still hold fond memories of the former arena. The Super Pit – UNT basketball’s current home – fits more than 10,000 people, but the front row is 10 feet or more away from the court’s baseline and sidelines. When UNT played ball at Bahnsen, the stands were just two feet away from the lines, creating an atmosphere of 5,000 fans at capacity sitting right next to the players. 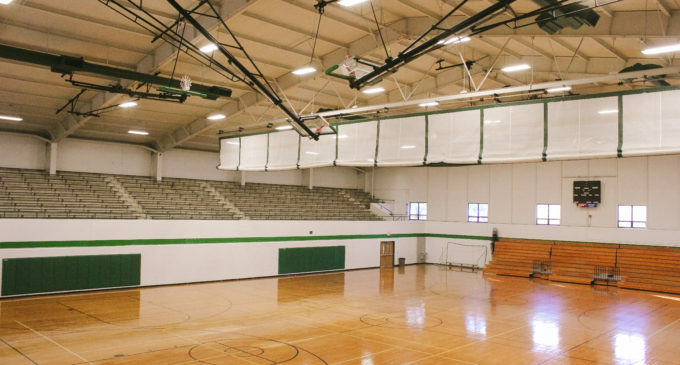 From 1950 through the spring of 1973, the Bahnsen Gym was often packed full of Mean Green students and fans cheering on their school’s basketball team. In the stadium’s heyday, the Bahnsen gym was regarded as one of the toughest places to play as an opposing team. Before being named for Bahnsen in 2005, the gym was simply called the Men’s Gym. However, the “Snake Pit” caught on as a popular nickname. There are many rumors of its origin, but much of the credit of coining the name goes to former Drake University head coach Maury John, according to meangreensports.com. The name caught on quick. Students would bring fake snakes – some stories even claim they brought real ones – to games following John’s statement. The moniker lasted to the stadium’s retirement from NCAA basketball. The consistent attendance at Bahnsen was much in thanks to the conference the Mean Green played in at the time. From 1957-1974, UNT played in the Missouri Valley Conference that hosted some of the most talented players in all of college sports. NBA stars and Naismith Basketball Hall of Famers Oscar Robinson and Wes Unseld ran up and down the hard courts of the gym as visiting Missouri Valley Conference rivals. Despite its history, the gym is not a part of the UNT athletics department. Today, it acts primarily as a classroom for kinesiology and physical education classes and a practice facility for various UNT club teams. The one-floor building features 58 rooms and although it has served as a secondary practice facility for the basketball teams throughout the years, the opening of the Kuehne Basketball Practice Facility in the Mean Green Village has eliminated much of its need for such usage. “It is sad to see the gym be an academic facility because of the proud history it has as an athletic facility,” Kuehne said. The Bahnsen Gym has no historical plaque or trophy case to pay homage to the players, coaches and moments that the gym witnessed over the years. 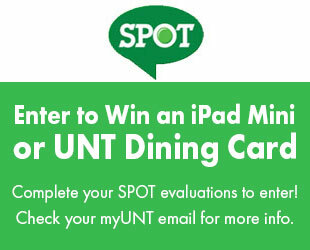 Students who are aware of the gym’s long-standing history and background believe it should be publicized by UNT. A suggestion by Villarreal is to create a plaque or a type of monument to place in front or inside of the gym to bring more attention to the history of the building. Whatever the future holds for the Bahnsen Gym, its players and coaches of the past always appreciate the important role it served in UNT’s basketball history. “It is without question a very underappreciated facility that must have more recognition,” Kuehne said.